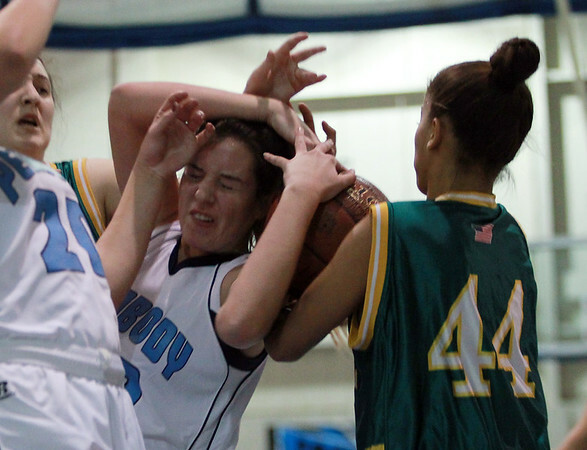 Peabody senior captain Courtney Bua, left, wrestle for a rebound with Lynn Classical freshman Jeylly Medrano (44) on Friday evening. DAVID LE/Staff photo. 12/19/14.